Ah the 90’s, I remember them fondly. When I wasn’t spending school holidays incessantly covering my school books with contact, I was flying around on my BMX wearing only the finest Warner Bros t-shirts and Chicago Bulls cargo pants. What a time. 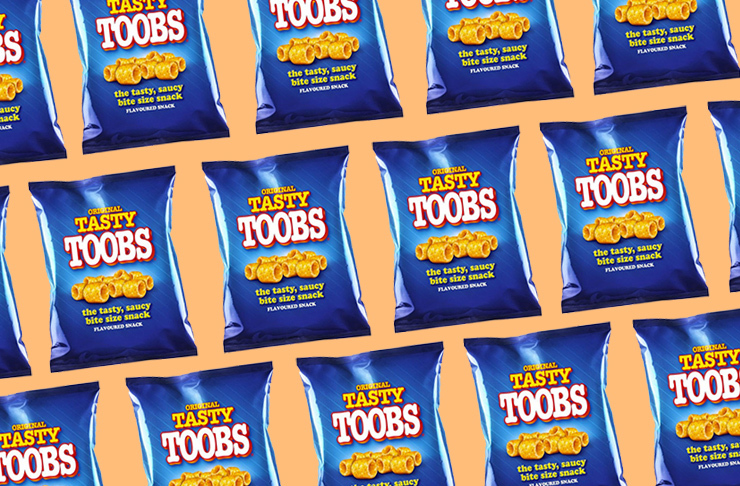 Australia is a foodie mecca these days, but I feel that we really developed as a snack-loving nation in the 90’s. 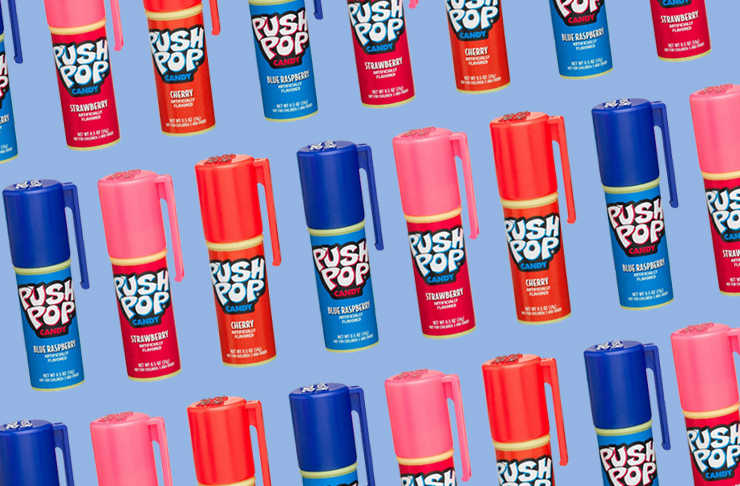 Sure you can get delicious snacks these days, but kids living in the 2010’s will never hear someone say “don’t push me, push a Push Pop” and that is extremely sad. So chuck a playing card in your spokes and throw a bit of wax in your hair as we turn the clock back and look at which 90’s snack foods should be back on the shelf today. What I’d give for a Take 5 now. Whenever I bring this up in conversation NOBODY remembers it, but it was my life. You’ve got a chocolate bar, but inside there are five Malteser-like balls, just magic. 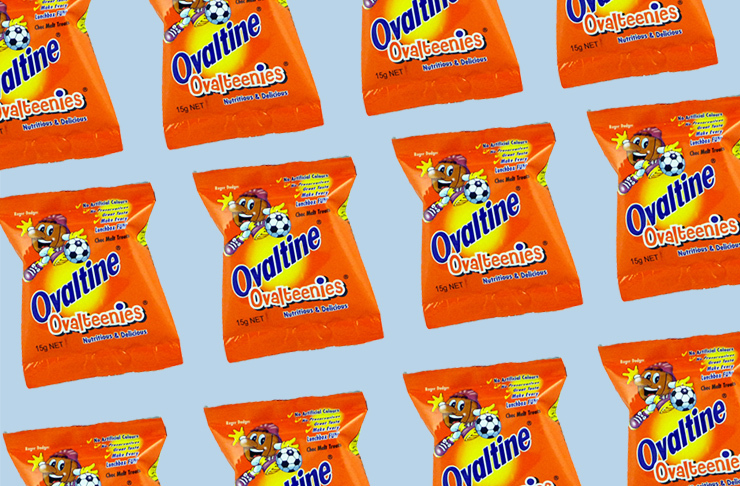 Forget the terrifying dude on the packet—these were the business. People go mad for Nutella now, but back then we were throwing these hazelnut chocolate bad boys in our mouths like it was nothing. Dehydrated potato snacks are 100% my jam. If you watched the ads you would know that dogs were also mad keen on them. There’s a heroic group that are calling for Arnott’s to bring them back, and I’m on board. These were a favourite at the school canteen. Small malt flavoured discs delivered in a foil wrapped. Ideal. Another disappointing effort from Arnott’s here, they’re lucky that they have runs on the board with Tim Tams and Mint Slice. Quatro’s had a bit of everything, biscuity crunch, nuts on top, caramel all put together in a chocolate shell. Arnott’s, lift. Yes, I’m well aware they exist. I’m not talking about the Milo Bar that you can grab at your local 7-11, I’m talking about the ones that were actually good! Milo packed into a small bar with chocolate, conveniently placed in a packet of two so you can save one for later. I don’t want brownie, I don’t want caramel, I just want a Milo Bar that exclusively contains Milo. Not content with a normal potato cake, McCain created one of the best side dishes of all time when they stamped a happy face on a piece of spud. Only recently added to the chopping block, there was nothing better on a 30-degree day than finding a Sunny Boy stuck to the bottom of your freezer. RIP. 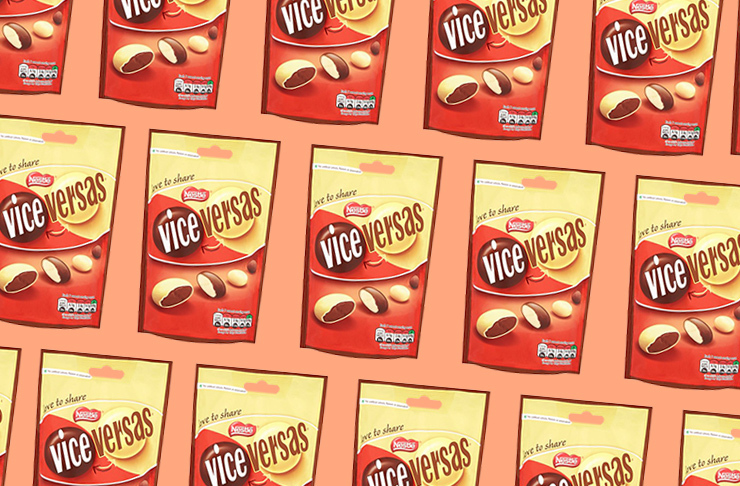 Forget M&Ms, Vice Versas were the ultimate movie snack. White chocolate inside a brown shell, milk chocolate inside a white shell. You get the picture. Another that has recently been axed, spearmint leaves were somewhat divisive but were definitely loved by many. Back when Target had the help-yourself lolly section, (remember? It was awesome) they always made the cut. Like its spearminted leafed cousin, green frogs found themselves on the chopping block recently. Red frogs continue to get stuck in our teeth to this day but we still mourn the loss of their green bretheren. Now while Ruffles still exist overseas you won’t be finding them anytime soon in Australia. Sometimes you just want a chip that is determined to be different, one that’s a bit rough around the edges, and that’s where Ruffles come in. Their tag line said it all “RRRuffles, they have ridges”. Amen. Man I love a Bertie Beetle, but unfortunately Nestle continue to keep these off our shelves. Nowadays they’re only available exclusively in showbags, every year making us grovel before them like Oliver saying “please sir, can I have some more?”. I just bought a bag of 50 at the Melbourne Show this year, zero regrets. Made from knives, these tasty cheese flavoured snack were the go-to if you wanted to completely carve the roof of your mouth up. They were initially axed from rotation in 2001 but had a brief revival in the last decade only to find themselves on the scrap heap once again. Cadbury, giver of life. They’ve made so many great decisions over the years, like cramming Vegemite into a chocolate block, but axing Marble was possibly their worst decision ever. Give me a bit of hazelnut praline inside a chocolate square any day of the week. Questionable advertisements aside, Muncheros easily had the most memorable jingle of any snack food in the 90’s. To this day if someone (while quite rare) says the word “munch” my mind immediately tears into a rousing rendition of “munch on Muncheros”. Yes they still exist, but let’s be completely honest here, they are a shadow of their former selves. McFlurry’s used to contain great advancements in snack foods like Oreos and M&Ms, and there was an actual machine that made them. Nowadays you get a super average experience, and you can’t even fall back on a 30 cent cone now that they’re $1. We may not have these great items on our supermarket shelves anymore, but there's still plenty that Australia can teach the world. Here are 38 things that everyone else should learn from us.